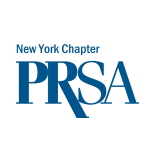 communications landscape,” said Leslie Gottlieb, PRSA-NY President. separately but recognized during the same event. least five years of PR experience. at the Mandarin Oriental near Columbus Circle in Manhattan. top-level professional development, networking, mentoring, and awards.